In this test, we've shot our low-light test scene at an exposure 5 EV below our standard low-light Raw exposure. That is, 1/10s at f/5.6 instead of 3.2s at f/5.6, ISO 100. Then, each image was pushed 5 stops in ACR. The purpose of this test is to examine the latitude of the Raw files each camera produces, which is also intimately linked to the camera's dynamic range. In real-world terms, this analysis shows how underexposed tones look when pushed, whether the underexposure was a result of exposing for the highlights in a very high dynamic range scene, or was simply accidental. 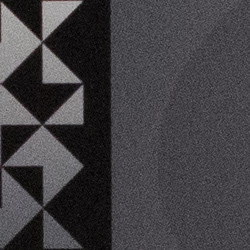 Cameras with more dynamic range will show cleaner results when shadows are pushed, while cameras with lower dynamic range will have noisier results, often due to a sensor and/or electronics with a higher noise floor. We put the 7D Mark II up against its closest cousin, the 70D, to see if there are improvements in performance between the two. We also dusted off the 7D to compare improvements over the previous generation in its series. 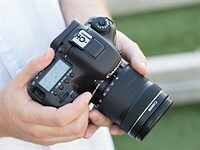 The 5D Mark III is included as a comparison against full-frame, which should have an advantage. Finally, we tested the Nikon D7000, for representation from a competing APS-C camera. Overall, the 7D II's improvements over other members of the Canon are significant. The original 7D has an excessive amount of banding when pushed this far. 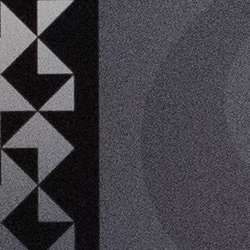 The 5D Mark III doesn't have as strong of a pattern, but vertical banding is still present. The 5D Mark III also has a lot of problems with chroma noise resulting in green and magenta blotches. 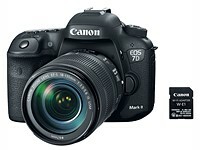 The 70D and 7D Mark II look virtually the same, indicating similar technologies between the two. 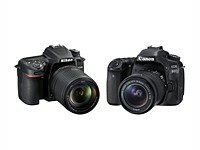 Interestingly, both of these APS-C cameras show similar, if not slightly better noise levels in comparison to the 5D Mark III, which is a notable improvement when you consider their smaller sensor sizes that inherently put them at a disadvantage when it comes to noise and dynamic range performance. There appears to have been a decrease in read noise that allows these APS-C sensors to pull up to the performance of the larger sensor 5D Mark III when it comes to base ISO dynamic range. To put these improvements in perspective, though, we added the aging Nikon D7000 to the mix. The advantages of the Sony sensor in the D7000 are quite clear: despite a +5 EV push, even darker tones remain relatively noise-free. This is due to the D7000's low electronic noise, which gives it class-leading low ISO dynamic range in Raw - considerably in excess of any of the Canon bodies shown here. The take-home message here is that while the 7D Mark II offers slightly more exposure latitude than its predecessor, it is still a ways away from what even the 4-year+ old Sony sensor in the Nikon D7000 offers. There aren't any significant improvements over the 70D, but the lack of banding in both the 7D Mark II and 70D make shadows and underexposed tones more usable than they might have otherwise been. This has implications for Raw dynamic range, where one might expose for the highlights with the intent of pushing underexposed tones for a more balanced image when shooting high dynamic range scenes. We explore this more in-depth in a real-world sense in our Real-World Raw dynamic range analysis. There's an interesting implication of the extremely low read noise exhibited by the Nikon D7000 that differentiates it from any of the Canon bodies here, and we thought we'd take this opportunity to talk about it. Have a look at the bottom row in the table below: what's remarkable is that the Nikon D7000 shot at ISO 100 underexposed by 5 EV and then pushed 5 EV in post looks nearly identical to our normal exposure of this scene taken at ISO 3200, despite both shots receiving the same exposure (1/10s | f/5.6). In other words, not only can the D7000 tolerate this 5 EV digital push, it tolerates it so well that the results are quite similar to doing this 5 EV push via analog amplification in-camera by increasing the ISO setting to ISO 3200. This is not at all the case for the 7D Mark II, whose underexposed ISO 100 pushed digitally (in post) looks significantly worse than an exposure shot with ISO 3200 analog amplification - again, despite both shots receiving the exact same exposure (top row, below). 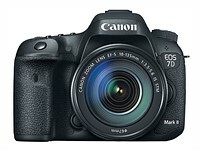 Why is there such a difference between the two 7D Mark II shots above, but not the D7000 shots? It comes down to when the +5 EV 'amplification' happens - a digital push in post, or analog amplification via increasing the ISO setting on your camera? For the D7000, it doesn't matter whether you use analog amplification in-camera or perform a digital push in post because of the extremely low noise floor of the camera's electronics. The 7D Mark II, on the other hand, benefits from the +5 EV analog amplification in-camera (the ISO 3200 shot) as opposed to in post (the pushed ISO 100 shot), because it helps surmount a significant amount of noise the data off the sensor encounters in the camera's electronics. In other words, for the 7D Mark II, the analog amplification in-camera helps the signal off the sensor overcome the background electronic noise ('read noise') - essentially making the image data 'louder' so that the impact of electronic noise, often referred to as 'read noise', is lowered. * A digital push in post amplifies the read noise as much as the the signal off the sensor, and in fact that's precisely why the digitally pushed ISO 100 shot looks so much worse than the ISO 3200 shot for the 7D Mark II. So what does this mean in the real world? Cameras that show little to no difference between being pushed in post vs. undergoing analog ISO amplification in-camera have considerable advantages - by saving the amplification for post-processing, you can give yourself significant highlight headroom. This helps reduce the risk of blown highlights and, in general, offers advantages in high dynamic range scenes by allowing you to expose for the highlights and not worry about the conventionally underexposed tones (that can be rescued later). And cameras that exhibit this behavior naturally have high base ISO dynamic range, because of the low noise floor of the sensor and electronics. In fact, this very feature is what makes such cameras 'ISO-less' or 'ISO-invariant'. The Nikon D7000 could be classified as being 'ISO-invariant', while the 7D Mark II cannot. 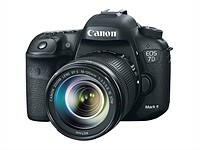 While the sensor in the 7D Mark II appears to show some progress from its predecessor and the 5D Mark III with respect to exposure latitude and dynamic range, particularly when it comes to banding, Canon's got a ways to go before catching up to its (Sony) counterparts. This manifests itself both in lower Raw dynamic range, lower exposure latitude, and more 'ISO-variance' (or, lack of 'ISO-invariance'). We explore the Raw dynamic range of the 7D Mark II in a real-world scene and compare it to an APS-C sensor known to have class-leading dynamic range, the D7000, on the next page. *Incidentally, this is what allows the Canon to catch up to the Nikon at higher ISOs, even surpassing it ever so slightly for reasons that we won't go into here for the sake of brevity. We'll be exploring these concepts further in a future article.